espite anticipated technical issues, the first annual Islamic Homeschool Convention was a success Alhamdulillah. Uplifting, would be my first choice of word, if I had to choose just one. For new and veteran homeschoolers, alike, it provided motivation to continue striving on the path of home educating, and it was a renewal of genuine passion and love for the process. It was an incredible experience to be in the company of so many like-minded individuals from around the world. Our journeys may vary, but our objective remains the same. 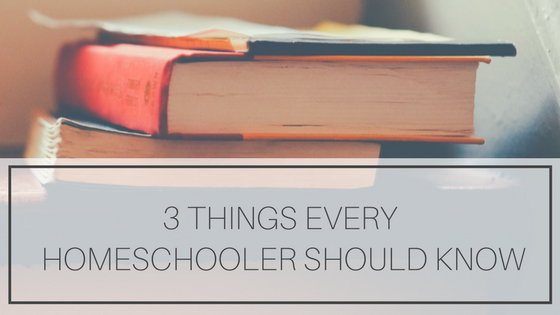 Inspired by the convention presentations, below are three practical pieces of advice every homeschooler needs to know (or be reminded of!). You don’t need to replicate ‘school’! Admittedly, this is a tough one for me to grasp. I think this is a trap most, if not all, homeschoolers fall into at some point. It’s difficult to imagine or implement any other approach to teaching when the traditional institutionalized education system is all you know. Like me, you may have spent a decent portion of your life being lectured to for almost six hours straight, five days a week. You were told what subjects you needed to learn in order to succeed in life. You were told what information was most important. You were even told by what age you should know it. It's okay to start here, with what you are familiar and comfortable with, but the fact of the matter is, one of the many reasons parents choose to homeschool (myself, included) is to veer away from this method of instruction. The traditional school system has failed us in some capacity, and we wish better for our children. Dr. Gemma Elizabeth, an advocate of independent learning, provided this much-needed reminder. If this traditional approach is not suitable for your family, don’t be afraid to explore a different one. In fact, a study by the Consortium on Chicago School Research identified one of the five key organizational features responsible for advancing student achievement to be, “a student-centered learning climate that identifies and responds to difficulties any child may be experiencing.”. Homeschooling provides the flexibility for us to tailor our teaching to our children, rather than tailoring our children to our teaching. Spend time building a strong relationship with your children, observing their learning style, and implementing an approach that caters to the way in which they receive and interpret information best. Nurture your child’s abilities and interests. None of us were created perfect in ability. We’ll never be the best at everything, and we shouldn’t try to be. Allah (swt) has designed us all with skills and traits that make us unique and individual. At some point, as adults, we recognize our strengths and weaknesses. Asmaa Hussein mentioned a beautiful point during her presentation about the prophet Muhammad (saw) recognizing these differences in ability among human beings and embracing them. He (saw) assigned a task to the person who was most fitting to execute it. Rather than trying to mold people into something they were not, he (saw) encouraged and utilized what was natural for them. Likewise, we shouldn’t expect or long for our children to possess the faculty to do it all. We shouldn't try to make our children into something they are not. Nurture their natural abilities. Help develop, strengthen, and build upon them. And do not judge them for what they are incapable of doing. This, along with allowing yourself to be guided by their interests and passions, is what inspires a true love of life-long learning. You don’t need to stay busy all of the time. Children need personal time and space to develop their own interests and sense of self. Shannen Espelien, in fact, recommends children experience a certain extent of boredom. As a registered psychologist put it, “Boredom is the elixir of creativity and passion. Boredom is the pathway to drive and ambition.”. Afford your children the opportunity to be unoccupied at times so they may discover what it is they enjoy doing to fill that time. As a parent assuming full responsibility for their children’s growth and development, and as a homeschooler battling the stereotype of raising unsocialized kids, it may be tempting to over-schedule. It may be tempting to participate in every new community program, or attend every co-op meeting and outing, or enroll your children in every imaginable sport and extra-curricular activity. Science is telling you, it's okay to not be doing something every day of every week! You are no less of a parent or homeschooler for incorporating down time. In fact, your children's development may benefit greatly from it. These are just three gems from the nearly six-hour long Islamic Homeschool Convention. Don't just take my word for it! You can access all of the recordings for yourself. 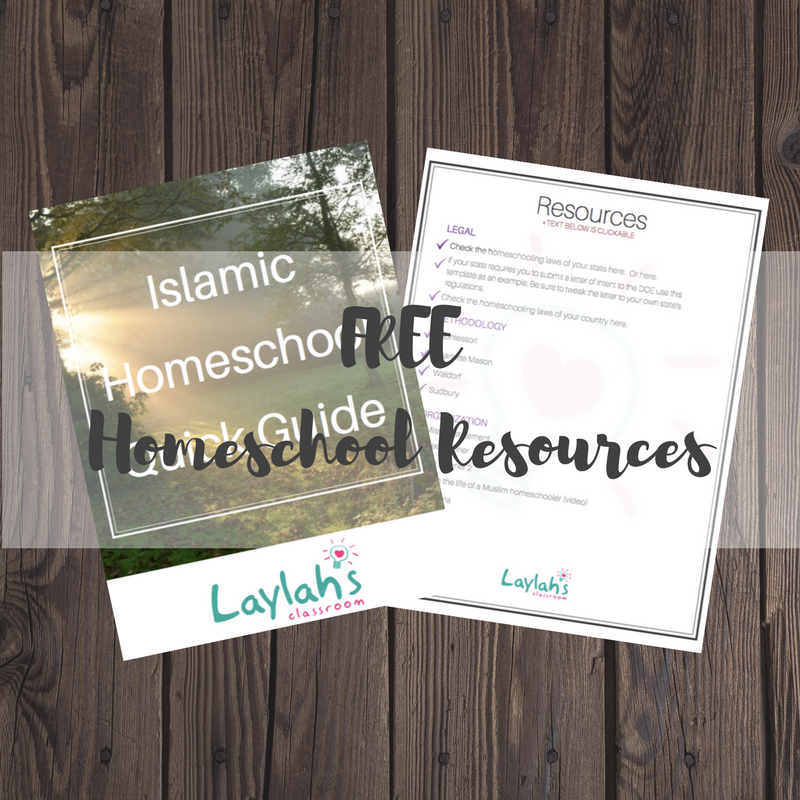 Over 40 of our favorite, invaluable resources covering 7 crucial categories to start your Islamic Homeschool off right!